When a Black Moon slivers the night sky, Chaos Werewolves from many clans prepare to find the new initiates and gather them together. If you are a Chaos Werewolf then you already know what it means to be a member of an Akasha Guild. No Akasha guild will permit you to divulge your secrets, not even to your own clan. You know it means you are among those who train their whole lives to harness the powers of the Chaos and Void. You must tell your clan to trust that when you assemble with the Akashas under this Black Moon, you will be studying advanced scientific arts and performing certain rituals that will make you a better member of your clan, no matter what your position. But that won’t stop them from asking. Others want to know more about the mysterious Chaos Werewolves who transform unexpectedly on the Black Moons to be recruited by the Akasha guilds. So what can you tell others? Maybe you can describe how you always thought you were one kind of werewolf for the longest time and how confusing it was when your moon would come and go and leave you alone in the den, still human. 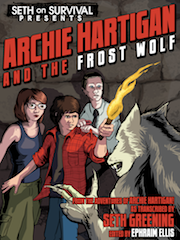 You always felt, well, different than other werewolves and you never knew why. Maybe it was your intense yearning to see the invisible, feel the untouchable and know the unknown. Likely you had a passion for advanced theoretical sciences /or arts. Then one month, a tiny Black Moon slivered the night sky and it happened. That tiniest beam of light, almost invisible to others, shining like a spotlight for you. Your pulse began to race and you knew it was happening. You were transforming. But without your clan and their full moon protection, how would you survive? Only you know the full story but if this happens to you on this Black Moon, have no fear. The Akashas will be searching for you, prepared to make you a Chaotic proposition. On second thought… some fear is healthy. There are enough rumours about the Akasha guild practices swirling around. If even a fraction of them are true, it’s more than enough to justify a little fear when they approach you with an offer on this Black Moon. Does any of this describe you? 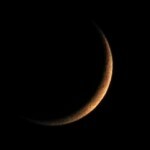 If so, know today that a Black Moon rises in less than 48 hours now. Some say it will call mainly Ice Werewolves, Death & Bone Werewolves and Lightning Werewolves but many reports exist of Chaos Werewolves from other moons too. 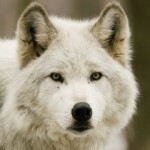 This entry was posted in Werewolf News and tagged akasha, Black Moon, Chaos Werewolves by Admin. Bookmark the permalink. how, um, could you know if you happen to be a chaos wolf? 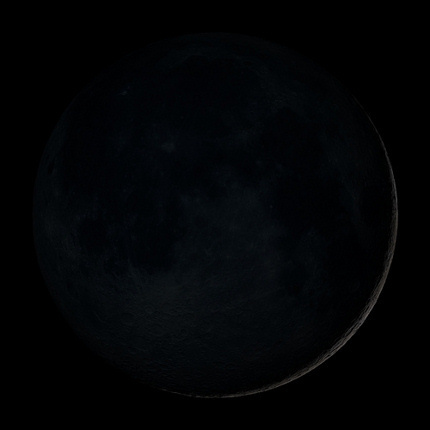 A Black moon is the waning crescent moon, just before it becomes a New moon. Only the smallest amount of light is given off by it. Oh shoot, how do I know this? Wait, there’s a Chaos clan? I Wonder how strong they are? Me too, buddy! Me too! And plus, I want an avatar! I once saw a man be skinned alive, slowly his flesh was sliced of his muscle. And the man no longer had his hide. To prevent him from dying of blood loss they burned his flesh with fire for brief moments to carbonize the wounds. By the time they were done, his flesh was black from being burned, he trembled and yelled in agony like a banshee in search of vemgeance and after many hours he finally succumbed to shock, blood loss, second degree burns and hypothermia. The image is haunting to this very day. But is only one of the many many living nightmares my eyes have adapted to memory. I agree many secret ones but the secrets will be revealed in time..I became one of those secrets as the world forgot my name and my family. Where I once was feared and well respected I am now a legend or just purely forgotten. Is this the right time for me to say something about my clan? Of course, I’m a bone werewolf and I do have a pet raven named, Midnight. I have dark blue streaks in my fur and the same color of my eyes. of course I’m gray. And I do have a hard time keeping my werewolf life a secret. Many of us have been forgotten. Not for our complacency of humanities actions, for let’s face it we don’t meddle in many human affairs. No, we indeed have let ourselves be forgotten so that we may live peacefully. 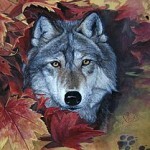 Does anyone know what a firewolf from the ancient fire clan is? This describes how I’ve felt when full moons pass.. 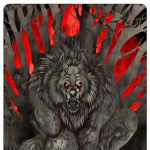 I realize that the chaos werewolf isn’t on the list of clans. But they maybe one of the secret clans that are unknown. Believe me! These werewolves are gonna be unknown to this future. The Chaos Wolves must have come out of nowhere. This is very strange evidents. Be on guard. And look for this, Chaos Clan. I hope they don’t destroy the land! 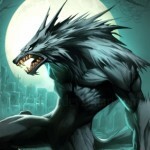 If you see a Chaos Werewolf tonight, give some information about these werewolves to the people who made this website. The people who made this must know what all of the werewolves are. They must be discovering more and more werewolves. I was playing life of black tiger a while ago!